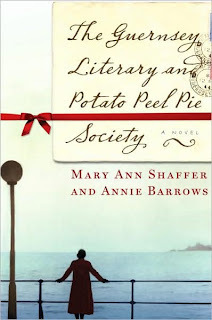 Mary Ann Shaffer and Annie Barrows’ The Guernsey Literary and Potato Peel Pie Society is a novel in letters between writer Juliet Ashton, her friends Sidney and Sophia, and her new friends from the Guernsey Channel Islands. Ashton is in the midst of a book tour for a collection of her WWII articles under the pseudonym Izzy Bickerstaff. However, she is floundering on the topic for her next book, which is opportune for Ashton who begins to write articles for the Times about the practical, moral, and philosophical value of reading when she receives an unexpected letter of request from Dawsey Adams of Guernsey. She begins getting letters from the remaining residents of Guernsey and their exploits as part of a literary society during the German occupation. These initial letters help with her series of articles and spur her muse into action. Like the above quote, this novel is one of those books that will hone in on the perfect reader. The Guernsey Literary and Potato Peel Pie Society is chock full of bookish quotes and must have been written with the love of books in mind. Beyond the WWII details, the rationing, the tip-toeing around German officers, and the loss of good friends shipped off to concentration camps, this is a novel about a writer who blooms in the countryside among new friends and new scenery. Readers will easily keep track of the numerous characters in this novel because each letter has an introduction line of who the letter is from and to whom it is addressed. Barrows and Shaffer have crafted quirky individuals with lively personalities from Dawsey and his quiet persuasive qualities to Isola and her outgoing nature. The Guernsey Literary and Potato Peel Pie Society is about how books can change lives and how people can impact one another’s lives. This is one of the best books I’ve read in 2009. 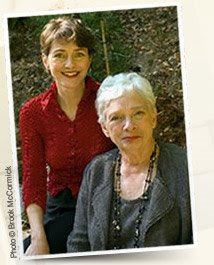 Her aunt, Mary Ann Shaffer, who passed away in February 2008, worked as an editor, librarian, and in bookshops. The Guernsey Literary and Potato Peel Pie Society was her first novel. For an excerpt from the book, go HERE. For the rest of the TLC Book Tour schedule, go HERE. 1. Leave a comment on this post about your own book club or why you want to read this book. 2. Blog, Tweet, or spread the word and leave me a link or comment about it. This is my 5th book for the War Through the Generations: WWII Reading Challenge.